Ohel Ayalah thanks John Ruskay, CEO of UJA-Federation of New York, for a generous grant to launch this project. There is no fundraising at the services. The names of people and organizations that have made donations to cover the costs of “producing” our High Holiday services and Passover seders are printed in the program handouts and listed below. Ohel Ayalah deeply thanks all of our sponsors for recognizing the importance of this outreach endeavor. 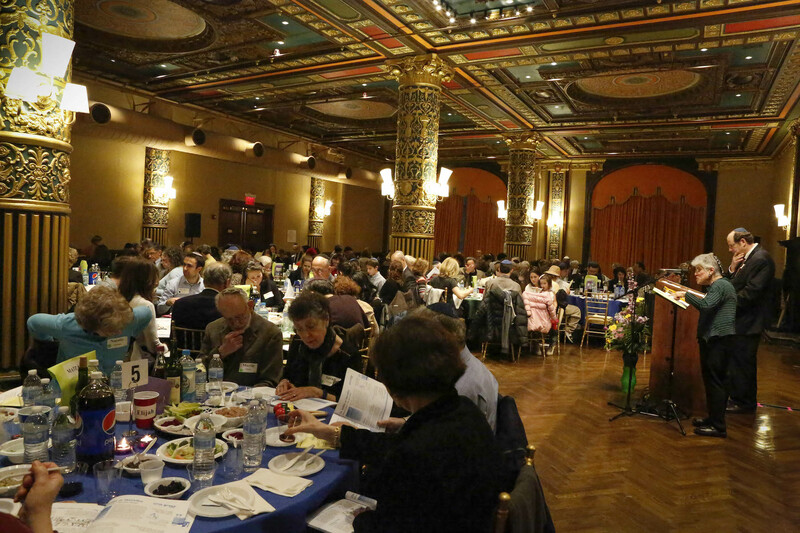 Spring 2011, 2012 and 2013: We thank the Metropolitan Council on Jewish Poverty, an agency of UJA Federation NY, for a generous grant to help keep the Passover seders affordable to all. A heartfelt expression of gratitude to Erica and Rob Schwartz who have generously underwritten the cost of the Ohel Ayalah once-a-month Friday night services (2008-2010). Thanks to The Steinhardt Foundation for Jewish Life for a generous donation (2010). Ohel Ayalah also expresses heartfelt thanks to the Natan Foundation for a grant in 2008 to expand Ohel Ayalah to a second venue in the fall of 2008 and for a renewal of the grant in 2009, 2010, 2011, 2012, 2013, 2014, 2015, 2016, 2017, and 2018. Thanks to Natan Ohel Ayalah opened a third High Holiday venue in Queens in 2011. And to the Horace Goldsmith Foundation for a grant to support Ohel Ayalah services (2009). Todah mi’qerev lev to Rabbi Jonathan Levine, of Media Judaica, who has made a generous donation of mahzorim for both the Manhattan and the Brooklyn venues. The same expression of thanks to Rafi Musher for a generous grant to purchase mahzorim for the Brooklyn venue and for his ongoing and multi-faceted support of this venture. Give a donation online (or by check) by visiting the Donate page. Thanks to the Churgin family for donating the seder wine. Susan Abramowitz & Aaron Gurwitz, Milton Adesnik; David & Maddy Arnow; Jodi & Craig Balsam; Maurice & Ruth Corson; Alexandra Fishman; Glenn & Zella Goldfinger, Shoshana Goldman; Alaine Gorfinkle; Steven Morey Greenberg; Sara Gurwitz, Natalie Hauptman Griffin; Sam & Francine Klagsbrun; Larry & Ruth Kobrin; Rosalie & Harry Kleinhaus; Ed and Roz Kolodny; Terri & Jack Lebewohl; Harvey Lefkowitz; Marcel Lindenbaum; Nathan & Shari Lindenbaum; Jon Lopatin; Alan Lubarr; Carl Lustig; Josh Musher; Rafi Musher; Beth & Gabe Nechamkin; Mel & Carol Newman; Ellen & Phil Phillips; Mary & Saul Sanders, Howard Schulder; Len & Lois Sharzer: Marion Shulevitz, Bernie & Ruth Simon; Sharon Strassfeld; Ron & Adele Tauber; Daniel Tilkin; Claire Zuckerman. Thanks to Sandra & Stanley Churgin, and Drs. Samara Churgin and Neil Paulvin of Doctors for Surgery, for sponsoring the kippot, 20 seder meals, and the seder flowers. Special thanks to Erica and Rob Schwartz for a generous grant to support Ohel Ayalah High Holiday services. Special thanks to Drs. Philip and Natalie Hauptman, Rabbi Judith Hauptman’s brother and sister-in-law, who have been generous supporters of this Ohel Ayalah project. Philip died suddenly on April 10, 2005. He will be sorely missed. May the memory of his kindness and compassion be a source of inspiration to others. "For someone who has a strained relationship with family, instead of dreading the holidays, as in past years I often have, Ohel Ayalah provides me with a spiritual learning experience, that instead of dreading, I always look forward to."